There are several lakes in Hungary that are interesting in some way. Let’s see which of these lakes are most worth visiting. Lake Balaton is the largest lake in Central Europe. Its surface area is 592 km2 big. Its average depth is 3.2 m, so it’s relatively shallow. It’s one of the most popular tourist destinations in Hungary with its beautiful beaches, and nice atmosphere. Its ideal not only for swimming but for sailing as well. It’s best to go there in the summer, but it looks beautiful in winter as well. Lake Hévíz is interesting because it’s the second largest thermal lake in the world. It’s popular for its healing properties. There are certain species that can only be found in this lake due to its temperature and unique chemical composition. There is a spa (Hévíz Spa) built around it where you can relax and enjoy the healing benefits of the water. Lake Bokodi (Bokodi tó) offers an interesting view for visitors. It is the cooling pond of the power plant in Bokod village. Because its water is warm, it never gets frozen. 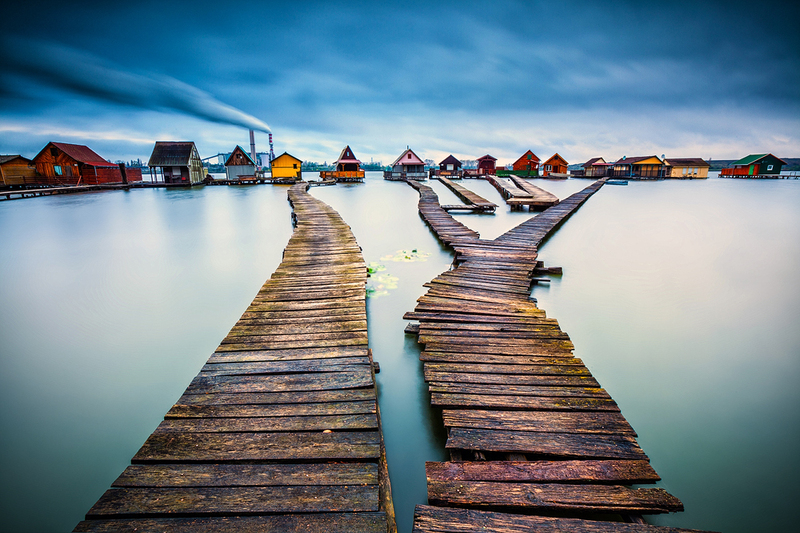 There are several piers on this lake with small, colorful houses on them, making this lake look so unique and magical. The Tarn of Megyer-hegy (Megyer-hegyi tengerszem) is situated in Borsod-Abaúj-Zemplén county. 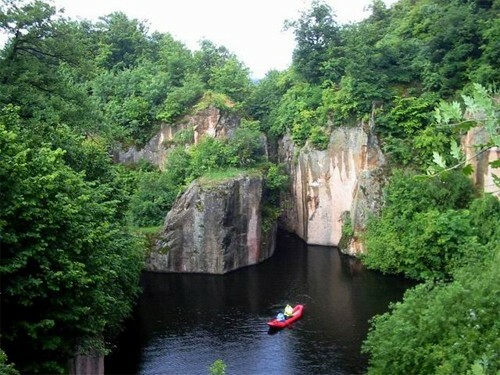 It’s surrounded by large cliffs and it can only be reached by foot on hiking trails. It’s hidenness is what makes this lake so interesting and a popular hiking destination. 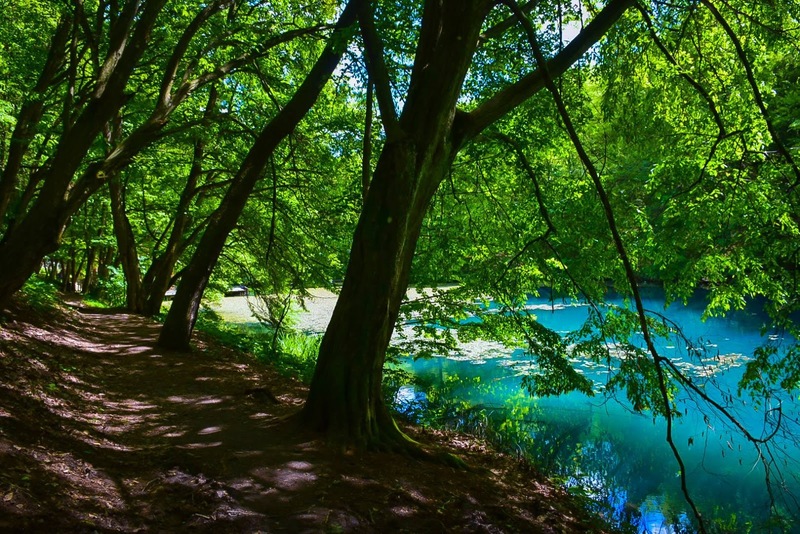 Tarn of Jósvafő (Jósvafői tengerszem) is a beautiful turquoise lake surrounded by trees in Jósvafő village. It is situated in Aggtelek National Park, close to the entrance of Baradla cave, the largest, most known and researched stalactite cave in Hungary. So if you ever have the chance to go there, you can visit two amazing places on the same day. If you want to read more interesting articles about Hungary, Budapest or travelling, click here! Discover Hungary with us! Click here to see what you can choose from! Previous post8 reasons why you should never visit Hungary!